The first generation Chevrolet TrailBlazer was launched in 2002 on the GMT360 platform that was shared with the GMC Envoy, Oldsmobile Bravada, Isuzu Ascender, Buick Rainer, and Saab 9-7X. However, only the TrailBlazer and the 9-7X got the 6.0 liter LS2 monster V8 from the Corvette and it was the first sport futility vehicle to receive Chevy's legendary SS designation. Find this 2006 Chevrolet TrailBlazer SS offered for $11,900 in Red Lion, PA via craigslist. Tip from Aaron. 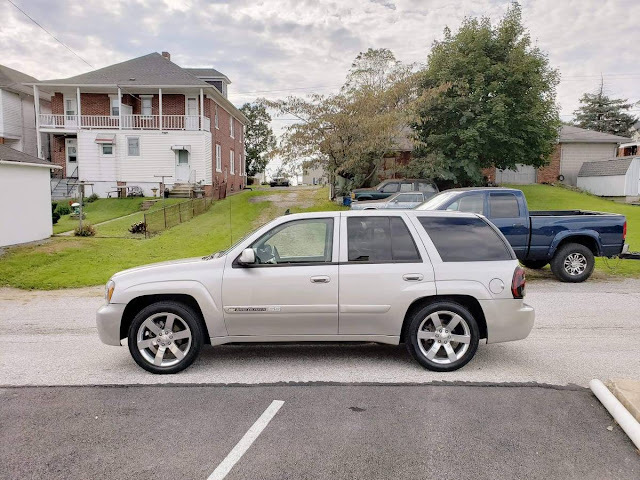 Up for sale is a 2006 Chevrolet Trailblazer SS AWD with only 79k miles! 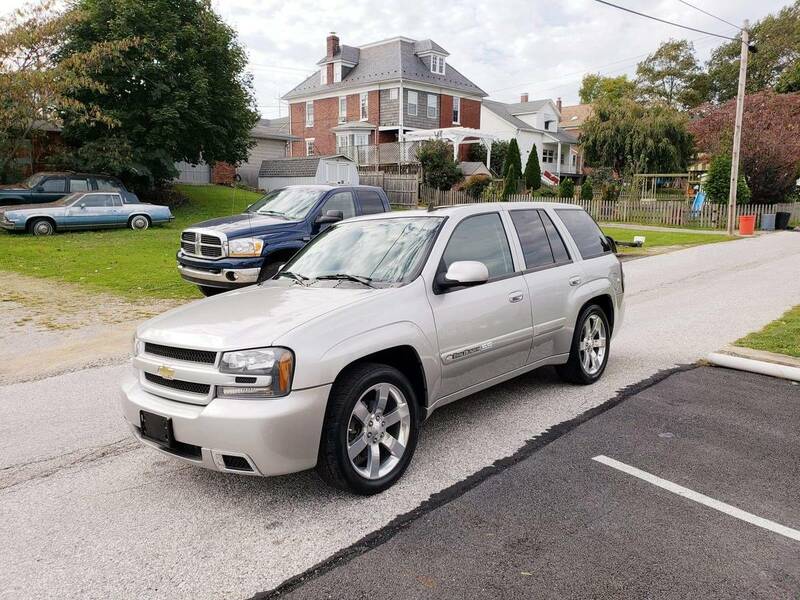 3 owners, clean autocheck, very hard to find a low mileage, clean affordable Trailblazer SS. So basically the same mpg as my old Astro Van v6 .. I have a good friend with one of these, in which I regularly ride. Goes like stink, and is much more nimble than you would expect for nearly two-and-a-half tons. I affectionately refer to it as the Corv-uck (as in Corvette/Truck). Never really given these a second though, but I really dig this. Looks great and has a fun, durable power plant. Mechanically, this concept is amazing - it's basically a 4 door evolution of the Typhoon... but faster. If you can get past the fact that this uses basically the same interior materials and parts-bin buttons & switches as an early-90's Pontiac, these things are a hoot to drive. +1 for calling out the ugly GM wheel wells! Amazingly Lotus made the same mistake with the Series 4 Elan. Wheels are round, so should be the openings they go into.